Frequently Asked Questions About Oil and Gas Service Overtime | Kennedy Hodges L.L.P. How do oil and gas companies violate wage and overtime laws? Should I be paid for the meetings the gas company requires that I attend before my shift begins? This is a question that comes up for many oil and gas employees in Texas—and for shift workers in all kinds of industries across the nation. If your employer requires that you attend a quick meeting before your shift begins, over your lunch hour, or after you’ve clocked out for the day, it should be a major sign that there is a problem. Many employers in the oil and gas industry don’t take meetings seriously and don’t count team meetings or training sessions as “real work,” even though these sessions are mandatory. The time employees spend in these sessions isn’t paid, and in most cases, it isn’t even recorded. However, employers are legally required to pay employees for all the time they spend at work or performing mandatory work-related duties. If your employer requires that you perform any unpaid work-related duties before your “real” work begins, there’s a very good chance that it is breaking the law—and you may be able to recover the unpaid wages and overtime pay you are entitled to for that time. Many workers immediately turn to the Department of Labor to recover their unpaid wages, but these claims are often settled for far less than they are worth. Although most workers are happy to simply receive some portion of the wages they were illegally denied, the law allows workers to seek additional damages to help hold employers responsible for ignoring the law. For more answers and information about maximizing your claim for unpaid wages, schedule a free, no-obligation case review with our experienced Houston legal team today. Do I Have to Accept a Department of Labor Settlement? Did my employer properly follow the requirements of the WARN Act when laying me off? If you were recently laid off from your position in the oil and gas industry, your employer may have violated the terms of the Worker Adjustment and Retraining Notification (WARN) Act. This Act was designed to protect workers from unexpected layoffs by requiring that they receive a certain amount of advance notice. Many employers, however, make mistakes even when they legitimately attempt to comply with the Act. 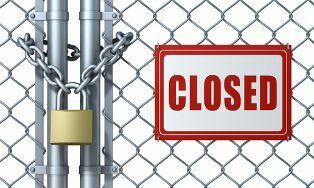 The employer misunderstands the meaning of the term “plant closing.” It is important to note that under the Act, plant closing does not necessary mean the entire facility must close. The employer improperly counts part-time and temporary employees for purposes of the WARN Act rules. Under the Act, part-time employees are not counted, whereas temporary employees are. A part-time employee is an employee who works on average fewer than 20 hours per week, or who has been employed for less than 6 of 12 months preceding the date on which notice is required. Further, while part-time employees are not counted for purposes of determining whether the WARN Act is triggered, if it is triggered, the part-time employees are entitled to receive notice if they are being laid off. Temporary workers, who are counted for purposes of determining whether the Act is triggered, are not entitled to such notice. The employer fails to consider layoffs that occur within 90 days of the proposed layoff or plant closing. While the initial test calls for an employer to review employment losses within a 30-day period of the proposed layoff, layoffs within the 90-day window can be added together to reach the threshold under the Act. It is important for employers to understand when this 90-day window is applicable. The employer fails to provide additional notice if changes to the layoff plan occur after the initial notice was provided. If you determine that your employer violated the WARN Act requirements, liability may exist. We are here to help protect your legal rights. We encourage you to reach out today to learn more at (888) 449-2068. As a field service engineer with a gas company, can I receive overtime pay if I already receive a salary? A lot of oil and gas field workers believe that receiving a salary means that they cannot receive overtime pay, but this is simply not true. In fact, many oil and gas workers who receive a salary are still owed overtime, but their employers overlook the extra hours they put in or pressure employees into so-called “off the clock” hours in order to save money. Most oil and gas field workers are not exempt from overtime pay and should be paid for all of the time they put in at work—including time-and-a-half pay for any hours worked over 40 each week. If you are a non-exempt employee under the law, your employer cannot deny you the overtime pay you have earned. However, it isn’t always clear if you’ve been affected by a wage violation, and much depends on your individual job duties—regardless of your job title and how you are paid. If you receive a salary, only a thorough review of your situation can provide the answers you need about your pay for “off the clock” hours and eligibility for overtime. If you have questions about unpaid overtime or other potential wage violations, we strongly encourage you to speak with us in a completely free, confidential, and no-obligation case review today. During your free case review, an experienced employment attorney can answer your questions, evaluate your individual circumstances, and provide guidance on the options available to you. To get started, simply reach out to us today at 888-449-2068. I am required to work my oilfield job in 24-hour shifts, am I entitled to compensation for time spent sleeping? In the oil and gas industry, some employees are required to spend many hours at a stretch “on duty.” In some cases, these shifts may last for longer than 24 hours at a time. When this happens, the employee may need to spend some time sleeping in order to be able to function adequately. How sleep time is treated for purposes of calculating hours worked is important to a wage or overtime violation claim under the Fair Labor Standards Act. If you are required to be on duty for less than 24 hours, you are considered to be working even if you are allowed to sleep or engage in other personal activities if you are not busy. 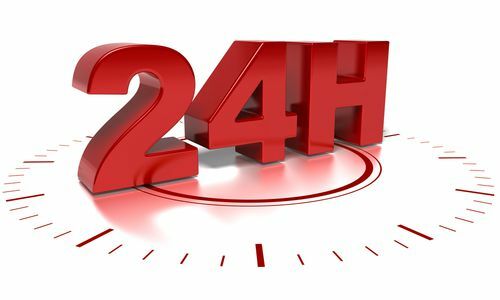 If you are required to be on duty for more than 24 hours, you may make an agreement with your employer that allows you to sleep for regularly scheduled periods of time during which you are not considered to be working for purposes of wage and overtime calculations. If you reach such an agreement with your employer, the sleep time cannot be for period lasting more than eight hours. In addition, if you reach such an agreement with your employer, the company must supply you with an adequate place to sleep where you will not be interrupted. If you sleep for less than five hours, the employer is not permitted to reduce your number of hours worked. Employees are often at a disadvantage when it comes to fair pay, because there are many ways in which an employer can attempt to avoid the overtime pay obligations laid out under the law. It is therefore crucial for workers to seek legal representation whenever a violation by an employer is suspected. We encourage you to reach out today for more information at (888) 449-2068. How should I keep track of my work hours to prove my overtime? You’ve been working for the same oil rig for over a year, and you have yet to receive an accurate paycheck. Every time you speak to your boss, he claims that he’s looking into it. You’ve spoken to payroll about a dozen times and although they’re happy to apologize, the issue is still ongoing. On average, you work about 60 hours a week—sometimes more, sometimes less. However, your paychecks consistently reflect OT of only eight, nine, or ten hours over the course of a two week pay period. Your incessant complaining will sometimes get you a check from payroll for an additional 10 hours’ worth of overtime pay since payroll can only confirm 10 of the 30+ hours you actually worked over. However, these amendment checks are rare and still not enough. You wholeheartedly believe that instead of trying to make up for the missing OT, your employer is basically hoping to pacify you with small amounts so he can continue to work you without properly paying you. All in all, over the course of the year, you can safely say that you’ve been tricked, misrepresented, and oppressed out of over 200 hours’ worth of overtime pay. So what can you do? When your employer tells you that there isn’t a record of your overtime, how can you dispute the pay? How can you prove that you’ve worked the hours that you know you’ve worked? According to the Wage and Hour Division of the U.S. Department of Labor, the Fair Labor Standards Act guarantees that oil and gas employers pay overtime for all hours worked over the 40 hour work week. Therefore, if you work 40.5 hours one week, your employer is required to pay you a half hours’ worth of overtime at time and one-half. Unfortunately, many employers will attempt to avoid having to pay this higher rate through trickery and deceit. Some popular ploys include miscalculating hours worked, misclassifying your work title so you’re exempt from OT wages, and a host of other juvenile tactics. This is why it is extremely important to not only discuss overtime pay with your employer before signing a contract—as well as carefully reading the contract to avoid misrepresentation—but to also keep accurate records of your schedule and personal overtime. This way, when your boss or payroll personnel claims that they lost your paperwork, or can’t verify your overtime hours, you’ll have documentation to present that shows differently. Make a spreadsheet. Don’t rely on your employer’s records. If you use a punch card or computer log in, document the time yourself, copy the timecard, or take a photograph of the time with your phone. Keep track of your start time, breaks, lunches, and ending times. Instigate a witnessed roll call. Some supervisors are willing to set up a system in which they will keep hardcopy documentation of your work hours. Implement a roll call to document break times, lunches, etc. If your supervisor refuses, take breaks and lunches with a trusted colleague in order to act as witnesses. Document everything. If for any reason you must punch out, but you’re still performing tasks associated with your job, make sure you keep track of the time. Keep track of your missed lunches and breaks. You’re entitled to breaks and lunches—unfortunately, you may not always be able to take a break. If you work through your designated rest periods, make sure that time is accurately accounted for on your timesheet. File your pay stubs. Some wage discrepancies can take a long time to figure out and some sneaky employers will intentionally drag it out, hoping you no longer have the stub to prove the discrepancy. Make sure you keep your pay stubs for at least six months to a year after receiving them. This will not only help with payroll issues, but will also aid you with your taxes. Always double check your hours and pay. Although you should be able to trust that you’re properly getting paid, human error, computer errors, and miscommunications occur all the time. Don’t allow someone else’s mistake or glitch to affect your pay. Check, double check, and even triple check to make sure you’re checks, wages, and overtime is properly represented. Inform your employer when you’re about to reach overtime. Sometimes employers are oblivious to how long their employees are working. Make sure your supervisor is aware that you’re approaching overtime, in case he wants to send you home. Otherwise, you may wind up working for free. Acquire legal representation. If your OT grievances are consistently being ignored, or you are continuously being underpaid for OT hours, contact an experienced overtime lawyer today. Proper representation can get you the justice and back pay you deserve. We know how employers like to avoid paying their employees. We also know how to legally convince them to pay the wages that have rightfully been earned. They’ll try to use loopholes, misinterpretations, and gray areas to their advantage. However, our experience has taught us to fight fire with fire. 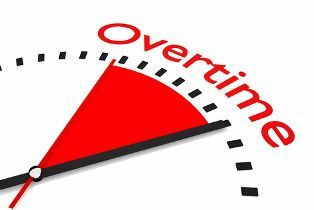 Overtime Exemptions for Oil Workers: Do You Deserve OT?